Western classical music has evolved into a highly dualist art form with strict differentiations between masterpiece/minorpiece, celebrity/nobody, young/ageing, prestigious/unimportant, contemporary/mainstream, acclaimed/insignificant, classical/non-classical etc etc. It is my proposition that this rigid dualism erects barriers to engagement with both new and existing audiences. Central to duality is the process of objectifying. This dissects the seamless flow of music making into objects, each with a discrete form delineated by clear boundaries - celebrity conductor, anniversary composer, world class orchestra, prestigious festival etc. Non-dualism dismantles these barriers and returns the music to its original seamless free form - the mystical concept of lata’if. John Coltrane disregarded traditional musical boundaries in his pioneering free form jazz, and my recent listening has included returning to saxophonist Raphaël Imbert's Bach-Coltrane project that I first wrote about in 2008. In his sleeve note for the CD Raphaël Imbert describes John Coltrane as "the only true mystic in the history of jazz"* and establishes his own non-dualist credentials by stating that "wherever we come from, we are all musicians". Sample Raphaël Imbert's take on Bach's Vergnütgte Ruh, Beliebte Seelenlust BWV170 can be heard via this link. My header graphic is taken from a new release which is also heavily influenced by John Coltrane. Alwane on the Institut du Monde Arabe label brings together free form jazz proponents Mad Nomad Quartet from France led by saxophonist Thierry Beaucoup, and the Dar Gnawa musicians from a Moroccan Sufi brotherhood. This remarkable collaboration not only dismantles barriers of genre and culture but also explores music theatre by introducing dance, olfactory stimulation (incense! 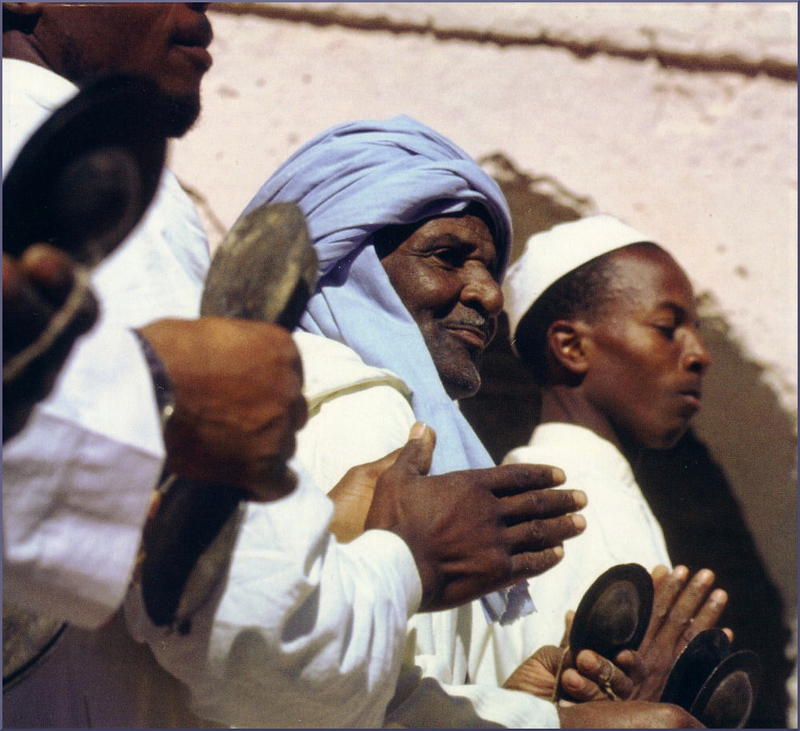 ), and audience participation in a contemporary interpretation of a Gnawa possession ritual - watch the video via this link. There is no suggestion that Western classical music should become anything other than Western classical music. But we are told so often that classical music must change; which is quite correct. What is wrong is the fashionable doctrine that classical must change physically - venue, lighting, technology etc. What needs to change is the dualist thinking which has a stranglehold on it, and that is where classical music can learn a lot from John Coltrane and his disciples. Raphaël Imbert does also credit the spiritual/humanistic aspirations of Duke Ellington, Albery Ayler and Sun Ra. No freebies involved in this post. Any copyrighted material is included as "fair use" for critical analysis only, and will be removed at the request of copyright owner(s). Also on Facebook and Twitter.